I blog for paralegals, legal assistants, legal secretaries, legal staffers, paralegal students and instructors – and the attorneys that want to get to know us better. I try to share information my readers might find helpful for professional development, or just plain entertaining if they need a laugh during a hectic work week. Once a week (or less often when Life happens) I share links to a half dozen or so articles focusing on legal news and humor, practice tips and professionalism, and technology. I also share information I find interesting at Practical Paralegalism’s Facebook page and via my Twitter feed, @ExpertParalegal. 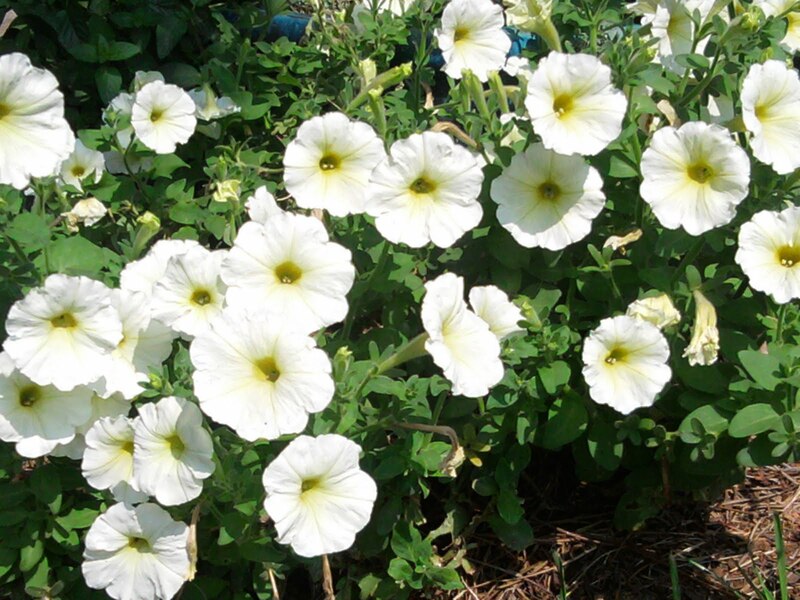 I planted sunshiny yellow petunias to greet me at the front door when I get home from work. Your Old Smartphone’s Data Can Come Back to Haunt You (PC World) ~ Do you know where your old smartphone is – and what data is still on it? Keep Your Online Accounts Safe and Secure (Digital Inspiration) ~ Great security checklist. Take the time to review your online account security settings. The end of days: Preparing to leave your job (The New Professional) ~ Most of us are focused on finding or keeping a job in this economy, but when you do move on to the next job, make sure that you don’t burn your bridges and that you leave on very good terms. Bless This Mess (Spilled Milk) ~ I think Law Momma speaks for legal professionals and parents everywhere when she emphasizes what’s really important when you come home at the end of the day. If you’re not following her blog already, you should. She’s a terrific and intimate essayist, going through many of the same ups and downs many of us have experienced (or are experiencing now) and sharing them with her readers in a way that makes you feel like she’s a good friend. You’re a Notary? Really? (Babble ‘n Blog) ~ Even though California paralegal Sue Ann Jaffarian is a successful author, people still want her to notarize stuff. The Staples: How Do I Start a New Work Wardrobe? (Classy Career Girl) ~ CCG provides a great list of the basics. The pics were a little eerie because I own pieces very similar to all the ones shown. You don’t need a lot of money to acquire the basics. Find the better thrift stores in your area, and check in regularly due to the ever-changing stock. 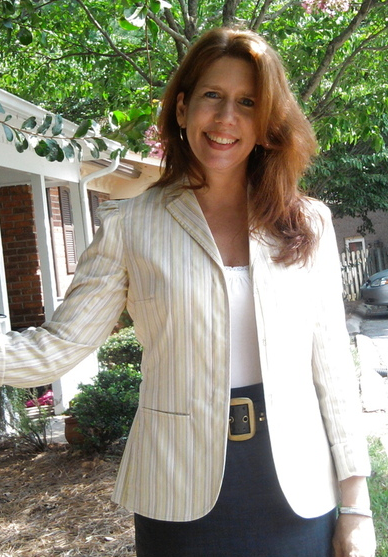 This summer blazer goes with almost everything in my closet.